We listed up our recommendations for you ! MonotaRO offers Paint masking tape and more. You can buy them anytime from our Singapore online store. Color: Yellow, Base Material: Japanese paper, Tape Length (m): 18, Extensibility (%): 4.0, Tape Thickness (mm): 0.1, Heat-Resistant Temperature (deg C): 150, High Speed Unwinding Force: 3.53(30m/min), Tensile Strength (N /18mm): 86.3, Adhesive Force to SUS (N/18mm): 3.43, Catch-Phrase: Paint your car exactly how you want it!, Purpose: For masking use in car / vehicle painting. Thickness (mm): 0.001, Color: Green, Length (m): 25, Material (Sheet): Poly sheet (Corona treatment processed) , Tape Type: Fabric tape, Purpose: For exterior wall paint. See more results of "Paint masking tape"
Our choice for you, Protective Use Masking Cloth Tape For Painting No. 148A and No.720 Masking Tape For Paint Use. Our choice for you, Fabric Tape Paint Masking Film and No.720 Masking Tape For Paint Use. No.720 Masking Tape For Paint Use and other related products. 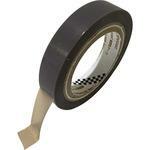 Want Automotive Paint Masking Tape No.7235 and Construction Curing Cloth Adhesive Tape ? Click Here.